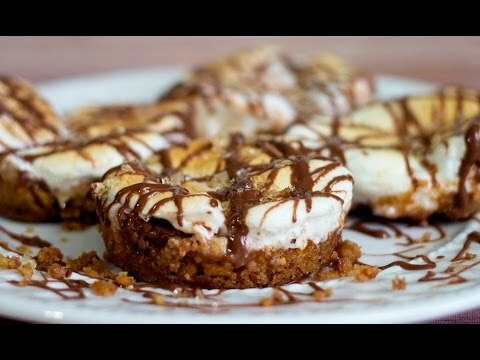 Warm and delicious Salted Caramel S’mores Bites are baked to gooey perfection! Our Salted Caramel Sugar creates a luxuriously sweet caramel filling with just a touch of salt. MIX crushed graham crackers, butter, powdered sugar, and 10-15 grinds of Baker’s Secret Spice Blend in a medium bowl. Scoop into a muffin tin (will fill a tin of 12). Press into the bottom of each cup. Bake for 4 mins. MELT leftover milk chocolate and drizzle over the s’mores cups before serving. *To achieve a beautiful gold brown top, BROIL for 1 min, or until the marshmallows reach your desired coloring. Be sure to watch them so they don’t burn!